The realities of international law enforcement are widely misunderstood and generally mystifying to the uninitiated. Combating cross border crime is a dynamic aspect of criminal justice that is becoming increasingly complex and directly relevant to national and local level policing. Unfortunately, most practitioners and policy-makers are unaware of the challenges involved in investigating and prosecuting criminals across frontiers. Professional experience of combating international crime is still restricted to relatively few. Globalization and technological advances have removed a great many obstacles to trade, but they have also facilitated access to new markets for criminal entrepreneurs whilst offering a reduced risk of detection and prosecution. International criminal activity has always had a significant and direct, if somewhat obscured, impact on the national and local crime picture. Without effective or coordinated cross-border strategies to redress the balance, the risk and damage caused by international criminal activity will continue to increase unabated. Combating International Crime maps the practicalities and challenges in making cross-border law enforcement work. 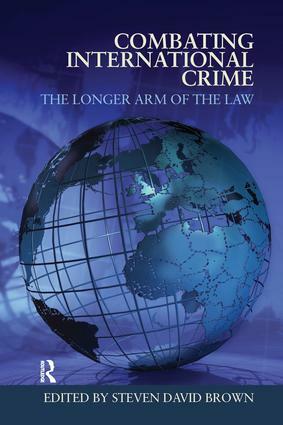 Addressing the prevention, detection, investigation and prosecution of crime or criminality which is conducted in more than one country, it provides a professional assessment and describes the essential ingredients of international law enforcement cooperation. It identifies the needs, implications and consequences of a comprehensive strategy against international crime and contains case studies by way of illustration and example.